Gaborone is one of the most low-key capital cities in Africa. With over 230,000 residents within the city limits, it is the largest city of Botswana. Gaborone is well-known for its Dam and the Gaborone Game Reserve. 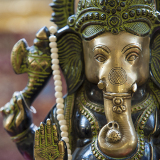 Other touristic attractions include the religious site of the International Society for Krishna Consciousness and the National Botanical Garden. Cheap flights to Gaborone are now available for a limited period of time, so get ready to pack your bags! Gaborone is home to Sir Seretse Khama International Airport (GBE), which is located on a 20-minute drive from the city centre. Pack a picnic basket and find a spot at Gaborone Game Reserve where you’ll be surrounded by warthogs, zebras and indigenous birds. 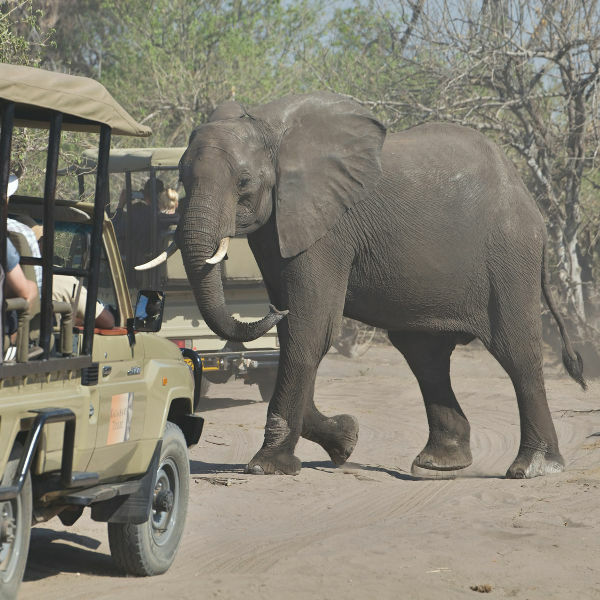 The Mokolodi Reserve offers game drives with plenty to see! Hire a bicycle or take a hike up the hills of Kgale and BTC where you’ll be treated to spectacular views of the rolling, green landscapes stretching all the way to South Africa. Wander through the arts villages and local workshops where you’ll find beautiful tapestries, pottery and wood carvings. The farmers’ markets make for a great place to sample fresh produce and pick out some souvenirs. The best time to visit Gaborone is during the winter season, occurring between May and August. The weather lends itself to a perfect stay, as rainfall is at a minimum and the air is pleasant and cool, unlike the dry summer months. Winter is not a busy season so you’ll have more accommodation and activity options at your disposal. Try to avoid the summer time, between December and February, as the combination of heavy rains and soaring temperatures result in a humid atmosphere. Should you find yourself in Gaborone during the first week of April, check out the annual Maitsong Festival – the biggest arts festival in the country, drawing international and local performers. 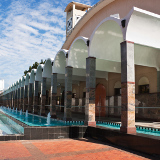 Situated along the Notwane River, the capital city of Gaborone is the largest metropolis of Botswana. Following its independence in the 1960s, the city has become the political and economic centre of Botswana. Many statues and monuments surrounding the Parliament buildings pay tribute to the nation’s former leaders and freedom fighters. 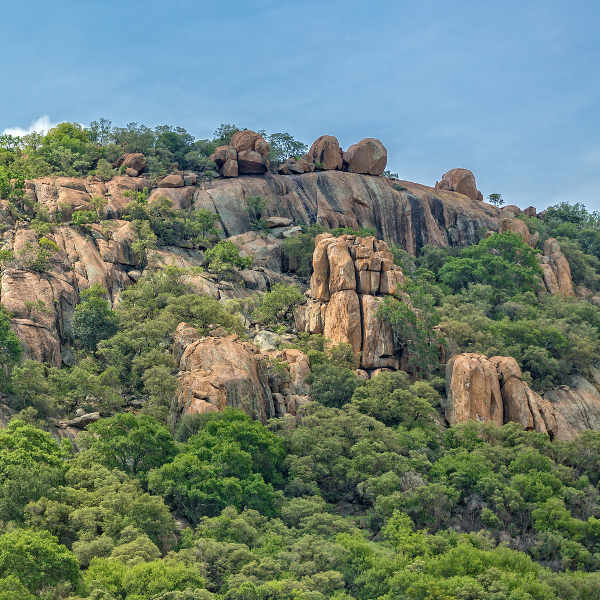 Gaborone is home to many attractive features, including Kgale Hill and the Gaborone Dam, a popular spot for birdwatchers, anglers and water sport enthusiasts. 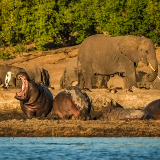 Those looking to get up close to nature will enjoy the Gaborone and Mokolodi game reserves, sporting an abundance of wildlife and indigenous flora. Make a stop at the National Museum and Art Gallery for a glimpse into Botswana’s past and see traditional artworks by notable artists. 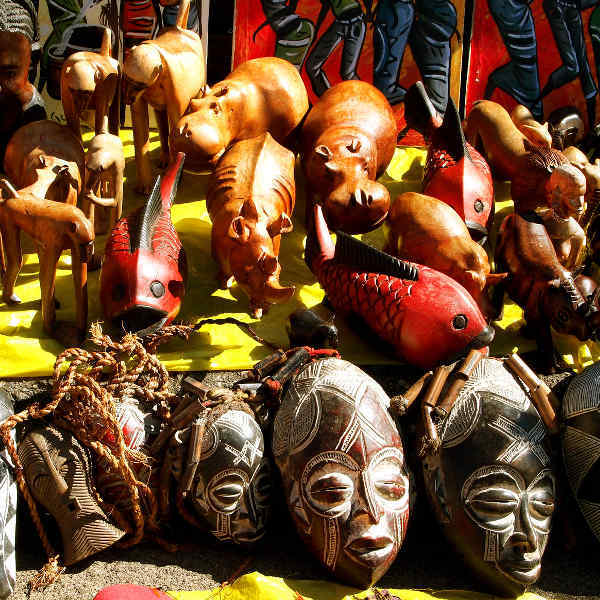 Ditch the malls and peruse the craft markets for a cultural shopping experience. Compare several airlines, and book your cheap flights to Gaborone online at Travelstart. Visitors to Botswana are not required to have any vaccinations, however it is advised to be up-to-date with standard MMR vaccinations and be immunised against Hepatitis A, Typhoid and Tetanus. Ensure you have insect repellent on hand, especially during the hotter months. Tap water is drunk by the locals, but tourists are usually advised to stick to bottled water as a safety precaution. Botswana is considered to be one of the safest African cities. Nonetheless, petty crimes do occur and visitors must remain aware and vigilant of their belongings, particularly in crowded areas. If you’re going out at night, do not walk, especially on your own – rather ask your hotel to call a taxi. If you’re driving, stay alert for smash-and-grabs near traffic lights, especially if travelling with laptops, mobile phones or other valuables. Whether you’re looking for a unique bush experience or are hesitant to part with your creature comforts, Gaborone has plentiful accommodation options to suit your taste. Travellers on a budget should consider staying at a campsite or overnight lodge, where basic facilities are available. You can expect to pay anywhere between P200 – P400 per night. Those looking for a secluded bush experience should head a little south of the city, where the areas of Crocodile Pools and Notwane provide cosy cottages and backpackers in the heart of wildlife conservation areas. For a more comfortable option with WIFI and breakfast, you can find many lodges and self-catering cottages near Tlokweng Road. The CBD hosts a few business hotels with more luxurious facilities. A night’s stay will set you back between P800 – P2000. Navigating your way around the city is fairly easy, with a range of taxis, cabs and mini-buses. The white taxis with blue number plates travel along designated routes and you can get out at any point. Cabs, known as private taxis, will take you anywhere you need to go – these must be requested by phone. If you find a good driver, take his number and make use of his services throughout your trip. Trips should cost between P20-30. Mini-buses (or combis) can be earmarked by distinctive lines painted onto the front. Combi drivers usually hoot if they are behind you, so you’ll be able to hop in if that’s your route. If you’re travelling from a neighbouring country and are crossing the border by car, you’ll need to purchase a temporary import permit (TIP) to bring the vehicle into the country. Your vehicle must have a sticker indicating country of origin. South African and international driver’s licences are accepted.